Ottoman Turkey called �the sick man of Europe� in the early 20th century crumbled on itself out of barbarism and bankruptcy. The vast Ottoman Empire, stretching from the Balkans, through the Middle East, to the tip of north West Africa, fell into decay and began to dissolve in 1908 because it resisted democratic change and social reforms. Its economy was largely rural, primitive and highly regional. Being descendants of the Mongols, Turkish rule was autocratic, oppressive and cruel to the extreme, especially against the Armenians, Assyrians, Jews and other non-Islamic indigenous �millet� inhabitants. Turkey lacked sealed roads, railway lines and adequate radio communications and telegraph system. Turkey�s social Tanzimat reforms were no more than a farcical ploy to win European diplomatic and military support in its Crimean War of 1853-1856 against Russia. Turkey�s Islamic Shari�a law and ruling system of the Abode of Peace and the Abode or War remained intact until its fall and collapse of the Ottoman Empire and re-establishment of Modern Turkey by Kemal Ataturk after World War One. Russia demanded protection of the Christians from the harsh Ottoman rule of the Islamic Shari�a law. The promises, which Turkey had made, in its edicts of equality for the Christian millet groups, under pressure of Tsarist Russia, were never implemented. The Poll tax paid by non-Moslems was lifted, to be replaced by another new tax levied at a higher rate. None of the reformation announcements in their edicts, from 1839-1876, ever benefited the Christians. On the contrary, their situation became worse. Freedom from oppression, and equality before the law, for the Christians never eventuated. Persecution of the Christian millets continued. Turkey�s Tanzimat reforms promised to the Christians were one of the highest forms of deception. The systematic massacres and barbarity committed later, by the Turks, during World War I, against the Christians, will ever remain a black mark on the forehead of the nation of Islam. The Abode of Peace States have lately strengthened their economic position and financial credit through control of the oil market. Their future nuclear striking capability and development of long-range missiles is in the rise. Pakistan, Iran and Libya in recent years have revealed their hidden agenda through their radical Islamic organizations and individual fundamentalists against the whole world of Christendom. The long term objective of the Islamic States of the Abode Peace is to annihilate Christianity and Judaism in the Middle East, as a prelude to encroachment into Europe, establishing the gradual emergence of the Islamic version of the new world order. In the Islamic view, Mohammed�s message extends to all mankind. It is a responsibility Islam must fulfil as pronounced by the messenger. Italy is Islam�s main target for the establishment of its next Dar Al-Silm power base in Europe. It already has the largest Mosque in Europe built in Rome. Prior to its defeat, the economy of the Ottoman Empire had completely collapsed. It followed old trade routes with primitive means of transport like oxen carts, mules and camels as beasts of burden, instead of competent merchant ships and railways. It built huge armies that it could no longer logistically support. Its manpower and resources were under considerable strain. It could no longer protect the outstretched borders of its vast empire. Its survival had mainly depended on preying on the subjects of its conquered territories, exacting heavy poll tax on non-Moslem adults, their properties, farmlands and produce, travel and trade. The Ottoman central government adopted the policy of recruiting Janissary/Mamluke forces, from among the Christians, using them as human shields in their invasions and conquests. This served to expand their territory, while at the same time diminish and exhaust the millet natives to the brink of extinction by fragmentation, slave labour and depletion. The Assyrians who had been under the Arab rule before the takeover of the Turks, sunk deeper into deprivation and misery. Christianity continued to live under persecution and repression, in total darkness and in isolation of the Western world. World War I ended and resulted in many treaties and ententes; but many ensuing problems did not. They remained unresolved, one of which was establishment of national governments with constitutions that protected the indigenous people. The traditional rights of the Israelites and Assyrians of the Middle Eastern nations, whose lands had been taken away from them by the Turks and Arabs, were not returned to them. The Anglo-French agenda was designed to consolidate their long-term presence in the Middle East for the control of its oilfields and combat of communism. They installed monarchs and rulers congenial to their own French and British interests. Being major power brokers, they influenced the Council of the League of Nations to compromise its principles and the purpose for which it had been set which was to do justice, rehabilitate the displaced peoples and bring stability and peace to the region. Islamic countries in the Abode of Peace have never seriously and willingly accepted to reform their system of the consultative council along the lines of Western democracy. Since most of their rules are godly, inspired from on high, and based on the teachings of the Koran and the Hadeeth, they are termed religious. Hence, it is natural for an Islamic state to establish its ruling system on the (Shari�a) Islamic law. When people question the validity of such verses and the extent to which they are applied in modern times, Moslem spiritual leaders shift ground. Moslem scholars, academics and intellectuals say that those were events that took place in the past against a specific tribe or some tribes and sects, and that they bear no relation to the present. Yet, they stand as threatening examples and their potential applicability still exists, as is presently evidenced in the Philippines, Kashmir, Lebanon, Cyprus, Macedonia and Serbia�s Kosovo. The hostility, armed aggression, determined separation and by force of arms is a warning of the long-term objective of the Abode of Peace. The Lebanese Maronite Christians are already on the losing end of their final battle. It is getting harder by the day to hold on to their independence and cedar symbol, and may soon see their flag changed to reflect Islam�s hold. The Lebanese Moslems are determined to change the constitution to agree with their increased ratio over the Christians. The Moslem domineering rival will eventually replace the cedar emblem on the Lebanese flag with the sectarian crescent, and add Lebanon to the ever-growing Abode of Peace of its Umma Nation. The make up of the National Assembly might remain and be reaffirmed since it suits the one-party system per se of the traditional Arab system of government of Majlis Al-Shura of old. Addition of Lebanon to the Abode of Peace will complete the link of the Arab League to be called �The Islamic League�, denoting that all the Arab states are Islamic and so the rest of the member states of the League. The so-called moderate leaders in the Islamic States of the Abode of Peace with secular tendencies usually control the military, under the watchful eye of the Conservative Power Challengers (CPC) and religious leaders. Though moderate, they are devout Moslems. They hold the country together by force of arms. CPC and spiritual leaders control religion. This leads to the formation of two opposing groups: the so-called moderate �secular� that runs the country and has the government reins in its hands, and the CPC �sectarian� that acts as a watchdog against the government�s un-Islamic future trends and deviation from (Al-sSarat Al-Mostaqeem) the straight path of Islam. The secular front calls for constitutional reforms based on democratic principles. The sectarian front opposes secular reforms and advocates the Koran and the Hadeeth as the basis for constitutional reform. Neither faction gives way. It eventually ends in a deadlock and open confrontation. The secular faction of the government resorts to force of arms; the CPC dares them with fatwas (religious edicts), accusing their leaders of apostasy and condemning them to death. For a while, the country whirls in a cycle of plots, coups, counter coups, assassinations, violence, imprisonment more killings and issuance of more (fatwas) by the clerics to justify their militant actions. The end result is ruin of their country and setback to the economy and social life. The conflict continues. Like a ruinous cyclone, it triggers another vicious cycle of destruction, plunging the country into economic crisis and retrogression. The present situation in Iran and Afghanistan are two vivid examples (Hiro, 1989: 57, 61, 74, 79; Pryce-Jones, 1989: 330, 348; Polk, 1991:44). Somalia and Algeria are headed in the same direction. Such actions cause wide schism to the point of perpetual enmity and irreconcilability. If Moslem leaders could by religious (fatwa) edict do that to their own people, they are able to easily do the same with others, such as the indigenous people living under their direct rule in the Abode of Peace. They can always come up with a (fatwa) to justify their cruel action (Hiro, 1989: 42, 143; Polk, 1991: 303; Aburish, 1995: 23-24). In the early days of Islam, members of the Consultative Council controlled the wealth of the state. They ruled by tribal-sectarian law, as is now the case in Saudi Arabia. Land became state property. The state treasury financed its apparatus from collecting tax and accepting one fifth of the booty, as a result of raids and plunder from new conquests. Power was centralized. Absolute power was in the grip of a handful. Prophet Mohammad naturally assumed Leadership. With the establishment of the Islamic religion, the sectarian and secular roles were both combined and held by Mohammad under his sole leadership. After Mohammad�s death the Khaliphah assumed the dual role, having absolute power in issuing dictates, as well as being the head of the Islamic Umma Nation. Currently, and as far as the Islamic countries are concerned, most of the states still follow this pattern but in a more evasive way than their predecessors. The Khilaphah succession title being in limbo, many Islamic secular leaders find it hard to hold on to power. To remain in office, a government leader occasionally criticizes the style of the government he has inherited from past colonialism or his predecessor. To prolong his stay in power, he goes along with the clerics and changes certain secular laws on the grounds that they are inconvenient and clash with their traditional Islamic customs. To consolidate his power, and win the support of the believers, he oftentimes dresses in traditional native costume and headgear portraying himself as protector of the faith. Many Islamic leaders, out of necessity to please their supporters, criticise the West and shift the blame of their shortcomings on foreign interference in the internal affairs of their countries. Somalia with its warlords and Iran with its armed mullahs are two examples in the extreme - residues of the Consultative Council. Afghanistan, Algeria and the Sudan are following suit. In between these two, it is monarchy, military or a one-party system. Apart from Israel, practicing democracy in the Middle Eastern states is hazardous - like treading on a stretch of land infested with land mines or quicksand. It is a risky venture. The road to democracy in any Islamic country is full of pitfalls. Islamic leaders hold the high seat of government or presidency for life. The high seat falls vacant only by death of forcible removal of its holder. They groom their children for the high post, like Bashar, Assad�s son of Syria; and Qusay, Saddam�s son of Iraq. Mubarak of Egypt and Qathafi of Libya are both grooming their sons to succeed them. That is their interpretation of the people�s choice of democracy � tailor-made to the individual taste of the ruler, not the people (Hiro, 1989: 11, 147; Pryce-Jones, 1989: 19, 29). The rigidity of the Islamic ruling system, under the guise of socialism and democracy, leads one to wonder if the Arabs have contributed anything to humanity, except imposition of their will and cruelty of the sword. Whatever contribution they claim to have made in the field of literature, translation, mathematics, Algebra, astronomy, medicine and navigational skill, is in reality attributed to Arabised and Islamised people of non-Arab origin after conquest of their countries and their conversion to Islam. They came from different foreign peoples like the Assyrian, Jewish, Persian, Copt, Berber and others of non-Arab peoples, and from countries as far as India and China (Pryce-Jones, 1989: 258-259; Polk, 1991: 29, 36, 289). People curiously wonder as to why the Arabs did not reach their heyday in their own part of the world - in the Arab Peninsula for instance. Why was it that the Arab rule did not reach its zenith say, in one of their own Arab capital cities? Why did the Arab, instead, reach their golden age of the (Abbasie Period of Al-Mansour) in central Mesopotamia Beth Nahrain, of present-day Iraq? Yet they flourished in Egypt, Syria, Spain, Turkey and other conquered countries. The overwhelming evidence attests to the abundance of wealth Mesopotamia enjoyed. All historical indications confirm that translation of the wealth of knowledge, wisdom, philosophy, astrology, medicine and arts, was still being pursued by the Mesopotamians long before and after its invasion by the Arabs in the mid 7th century. What is the Arab Peninsula renowned for, except for the city centre of the capital Riyadh of Saudi Arabia, nicknamed �the Chop-Chop Square?� As a deterrent to crime, on certain assigned Friday mornings, the executioner on behalf of the government makes a spectacle of some condemned persons; persons, who have committed crimes and sentenced for punishment publicly. The executioner metes out various sentences, including whipping the guilty 30 to 50 lashes or more, amputating toes, wrists and beheading the condemned as retribution for their crimes. For lesser offences, if the criminal learns the Koran by heart within a specified period of time, he is set free. Though checked for a while, crime has always been there and in some countries on the increase. In Iraq, crime increased at an alarming rate in the mid 90s. It too introduced such severe and inhumane punishments. They sever one or both ears of a deserter and amputate the wrist of a thief or his foot or toes, and on rare occasions, cut his/her tongue. To inflict on a person bodily harm, maim and cripple him for life is a futile method of rehabilitation and a crime against humanity in itself (Aburish 1995: 78-79; The Economist: 47). Whenever the native inhabitants, under Islamic rule, attempt to bring up the issue of their basic human rights, the world of Islam rises up in heated arguments and protests, headed by the Arab League. Islamic governments accuse them of dissension and subversion. They unleash on them the militias to keep them at bay, as is presently taking place in southern Sudan, Irian Barat, Algeria and the displaced Assyrians in northern Mesopotamia, Iraq. While at the same time these very same Islamic countries do not hesitate to export their Islamic revolution to other non-Islamic countries. Islamic states, led by Iran, helped the Bosnians and supplied them with arms to help them secede and proclaim independence. At one time even Mujahideen holy warriors went to the aid of the Bosnians. Islamic countries still extend their support to Bosnia. Several Islamic countries, in their forefront, Iran, Saudi Arabia and Libya, continue to support separatist movements in countries where Moslems want to break away and declare independence from their host country, with assistance of the petrodollar and active participation of the Mujahideen (Pryce-Jones, 1989: 323, 365; Aburish, 1995: 63, 144, 145). When it comes to the Assyrian issue, the voice of the international community tones down to a hush. They adopt the code of silence. The international community maintains the conspiracy of muteness. Iran, Turkey, Syria and Iraq have nearly destroyed the Assyrian nation with their plunder and cruelty. The four domineering countries, under which the Assyrians now live, consider the Assyrian territory Islamic property, part and parcel of the states of the Islamic Abode of Peace. The quartette acts as landlords, owner of the dismembered Nation of Assyria. They claim free hold on the title deed of the Assyrian homeland. They either inherited part of Assyria from past invasions, or added it to theirs in the immediate aftermath of World War I. In post World War I, and with the help of the West, the four Islamic states of the Abode of Peace confiscated Van, Urmia, Khabur and Mosul Provinces of the Assyrian region. They divided the whole of the Assyrian territory and incorporated it into their four countries. After modifying their political borderlines, the belligerents bonded the dismembered parts of Assyria to theirs in full view, and with the consent of, the West and the international community. Israel was in the same predicament as is Assyria now. Nevertheless, the UN with its firm action freed Israel from it adversaries. In recent years, the collapse of the Soviet Union created circumstances favourable to the three states of Estonia, Latvia and Lithuania to free themselves from the clutches of Russia and regain complete independence. Israel in 1948 was successful in liberating itself. It achieved independence by proclaiming the Establishment of the State of Israel in part of its biblical land. Such achievements came about as a result of the combined efforts of the subject nations, the international community and the UN. Assyria needs to be granted an independent voice as a stateless nation, its people the status of refugees, and its case to be promoted and supported at international levels. There are some similarities between the situation of Assyria and that of Bosnia-Herzegovina in regards to its geopolitics. Earlier, in 1907 Bosnia-Herzegovina was ceded to Austria-Hungary by the enfeebled Ottoman Empire for a mere Two million Pounds Sterling (£2,000,000). Likewise, Great Britain bartered with Turkey for oil, and gave Assyria away to the Arabs and Islamic countries, with total disregard to the traditional rights of the suppressed and dispossessed Assyrian people. After the collapse of communism and disintegration of the Soviet Union in the early 90s and break up of its satellites, the international community reshaped the political boundaries of Certain Balkan states and helped regain their sovereignty such as Bosnia-Hercegovina and Croatia. Several European countries, like Germany, Austria, England and Australia played the role of host. They accepted hundreds of thousands of Bosnian Moslems as refugees, cared for them and hospitalised their sick and wounded children. After a few years, the majority was returned to Bosnia for rehabilitation. The West, led by the international community played the role of the Good Samaritan and acted the role of King Solomon. Yet, this very same international community turned its back on the Assyrians when they called for help in Post World War I. The League of Nations forsook its human attributes. It failed to implement the program it had initially sponsored for the return and rehabilitation of the Assyrians in their traditional homeland of the Mosul Province, either for lack of will or the financial means. The West, in reality did not behave like the just king and wise judge, but like wolves among sheep. After plundering Assyria, they neglected its people, and scattered them to the four corners of the earth. The West dismembered the Assyrian nation and sold its people to its traditional enemy, shattering their hopes and aspirations. The international community denied them the right to live in the safety of their homes under protection of the League of Nations to reshape their destiny and lead a normal life as any other small nation. Bosnian Muslims like to be referred to as Muslims by the media. While the Muslims refer to the native Christians of Bosnia as Croats, Serbs or Gypsies to give the world the false impression that Bosnia had once been predominantly Muslim. Bosnia was a Christian kingdom, never a Moslem state. The Ottoman Turks ruled it for over five centuries until the early 20th century. Moslems in the occupied territory of Assyria behave in the same manner, claiming the whole region Islamic. Referring to them as Nestorians or Christian Kurds, the media deliberately, or out of ignorance or indifference, keep the Assyrian identity suppressed. The Arabs in the Middle East seem to follow this same pattern of behaviour. Assyrian and Christian cultures are suppressed in a concerted effort to diminish and completely remove their image as they do in other Islamised countries such as in Afghanistan, Egypt and Algeria and Kosovo, Serbia. In Afghanistan, its radical Islamic government blew up the two giant Buddha statues and destroyed other non-Islamic artefacts in a bid to rid itself of all trace of Buddhism. In Egypt, the government distorts the census of the Christian Coptic population to give the world the false impression that the Christian population of Egypt is steadily on the decline. The authorities continue to reduce the census figure to understate the Christian population as insignificant. In Algeria, the Christian Berber are not recognized as natives of the land, neither does the Algerian government recognize their native language as extant. The Christian Berber natives are officially classified as Arabs, having the language of Algeria Arabic, disregarding the Berber language and the right to their heritage. Instead of reviving the Berber language, Islam extinguishes it. Yet, the ethnic Albanians in Macedonia demand that their Albanian language be officially recognised as the second official language of Macedonia. In Lebanon, Christian shrines along the highways and villages seem to be systematically disappearing and Christian customs and activities pressured to withdraw to their own confines. In Indonesia, the destruction of crucifixes and torching of churches has become an Islamic ritual. In Iraq, the central government simply denies the existence of Assyrians nonchalantly and refuses to recognize them as natives of northern (Mesopotamia) Iraq. It considers those presently residing in the country as alien drifters from Iran and Turkey. The Arab Iraqi political parties in exile, in opposition to the present Iraqi regime, behave in like manner. They distance themselves from Assyrian political parties and disallow them from joining as members of the organisation in opposition to Saddam�s regime. The Arab political parties in exile shun the Assyrians away as undesirable foreign elements. Western governments in support of such Iraqi opposition parties in exile may wish to bring to notice and correct such undemocratic practices. Like the Arab invasion of the Middle East in mid-7th century AD, The Ottoman Turks invaded Bosnia in 1386. After many battles and 77 years of continued warfare, Bosnia fell to the Turks. It became a Turkish province in 1463. Bosnia-Hercegovina being one of the poorest countries in the Balkans, was sold by the Turkish government and was annexed to Hungary in 1908. In the process, Austria-Hungary gained control of Bosnia-Herzegovina in exchange for a mere two million Sterling Pounds (£2,000,000). The monarchs� serfdom mentality of the medieval ages believed in ownership of both people and property as another commodity. The European and Turkish elite considered the peasantry part of the land that the landlords owned. The serfs on the farm were bought and sold at will with the land as domestic animals. In like manner, the Turks sold Bosnia-Herzegovina to Austria-Hungary lock, stock and barrel in defiance of the Serbs and disregard to their sentiment. The foolhardiness of Austria-Hungary did not admit its guilt of buying Bosnia and Hercegovina for �30 pieces of silver� and treated the Slavic people as subservient. In the wake of World War I, Ottoman Turkey began to withdraw from part of its colonies. Recently, the West, headed by Germany was committed not to let Bosnia-Herzegovina fall back into the hands of the Serbs but to keep it separate and give it to other ethnic groups rather than return it to Serbia. Their intention was to balkanise Yugoslavia and dismember Serbia. Later in 1991, after the collapse of communism and break-up of the Soviet Union, NATO emerged as one of the strongest undisputed world powers. It rewarded its ally Turkey, with a long time dream of helping Bosnia-Herzegovina re-emerge as an independent Islamic nation. First, the West, urged by Germany and headed by the U.S., would see Bosnia in the hands of the old Turkish surrogate rather than return it to its rightful owner, the Yugoslav Serbs. The same game was played by the Anglo-French against the Assyrians, and to a certain extent, against Israel. NATO obliges. Here, an old pledge comes to fulfilment. To legitimise ownership of the territory, the West bestows on them the name Bosnians. The Bosnian Moslems insist that they be identified purely as Moslems, while the Moslems keep on calling the Catholic Christians, Croats and the Orthodox Christians, Serbs, implying that they have no part in Islamic Bosnia and that they have no stake in Bosnia as full citizens. Recently, the media went ahead and coined the name Kosovars for the ethnic Albanians that occupy Yugoslavia�s Kosovo, implying that Serbs no longer have the right of jurisdiction over Kosovo or the right to residence within the said territory. The Serbs in Kosovo have diminished in number. The international community cannot guarantee safety of the Serbs living among the ethnic Albanian Moslems in their own native Kosovo. Ethnic Albanian �Kosovars� are demanding that Kosovo be declared exclusively Albanian protectorate, with a view to creating Greater Albania in the not too distant future. Except for the embattled Israel, the Islamic Abode of Peace States have already swallowed up the whole of the Middle East. They have now turned their attention westward, focusing on the Balkans. Like its counterpart Islamic states of the Abode of Peace, the Bosnian government will adopt strict measures to curb the influence of the Christian Bosnians, be they Croats, Serbs or gypsies. In recent years, the Bosnian government imposed total ban on eating and drinking in public, from dawn to dusk, during the Islamic fasting month of Ramadhan. The government closed all restaurants during that month; designating only a couple, allowing them to operate during daytime for the non-believers. It narrowed entertainment schedules on Radio and TV stations to programs of religious nature. It Introduced Islamic religious teachings in public schools and directed students of all other religions to observe them as part of the curricula. How could Bosnia survive, integrate and prosper, if it continues to resent Western culture and live in isolation of the European lifestyle? Bosnian Moslems go to Western style entertainment and amusement centres, yet criticize them publicly. In Islamic countries such businesses and centres are rare. Those that exist are licensed and allowed to operate by Christians only, in particular liquor stores and bars. It is against the Islamic (shari�a) law to drink, serve or handle alcoholic beverage. Yet generally, they lend a blind eye, not because they respect the Western culture but because people of all cultures consume it, as is qat to others. By tradition, Islam looks at such practices as profane and labels them sacrilegious. Moslem females are forbidden to set foot in such public places. Yet Moslem males, especially adults frequent them for lack of such facilities by the Moslem communities themselves at home and broad. They criticise them publicly and attend them surreptitiously. Government policy promotes its own Islamic values and practices in order to retain and constantly enliven the image of its traditional Islamic virtues. Moslems are given the freedom to engage in any fanciful venture, provided they retain their faith and work in the interest of Islam, when engaged in a given task. They are conditioned to draw others into their culture rather than integrate with other cultures. No wonder, Islamic states in the Abode of Peace, condemn multiculturalism, while in the Abode of War they go along with it and use it as a smoke screen to machinate their schemes. Ethnic Albanians in Kosovo seem to be following the same Bosnian policy. Their ultimate aim is to remove all Christian influence and cleanse Kosovo from Christian imagery, by building new mosques and closing down unattended churches. The same policy is being currently applied to the Assyrian and other Christian communities in the Middle East, North Africa, Indonesia and the rest of the Islamic world. By their uncompromising attitude and traditional social behaviour, Moslems arouse suspicion among other community groups. As a result certain ethnic groups become ill at ease. Gradually, people tend to mix less and eventually withdraw each into his own social circle. Finally, the Moslems, by continuing to remain callous and maintaining a hostile stance, the atmosphere becomes filled with mistrust and animosity. Such a tension loaded atmosphere leads to provocation and abuse. Often, government of Islamic states do not miss the opportunity to indicate to the ethnic groups that if they did not adapt to the inevitable Islamic lifestyle and refused to abide by the Islamic law, they could pack up and leave. People, of different ethnic backgrounds become distrustful of one another and withdraw. A satisfactory form for a totally successful merger of such different ethnic groups in culture, religion and language, into a unified secular system of government, be it Bosnia or any other Islamic state, would be nothing less than a miracle. Without secular constitutional protection and safeguards, the weaker ethnic groups cannot coexist. Non-Islamic ethnic groups fall victim to the domineering Islamic majority. Since the international community does not take the plight of the Christian minorities seriously, its members move away to safer countries or try to immigrate to the West to escape persecution. Emergence of countries like Bosnia as an independent secular state resembles a difficult childbirth, overwhelmed with complications. It is hoped that the labour and efforts of the international community, headed by the UN and led by the United States (NATO), will bring forth a healthy and normal model of a constitutional parliamentary system acceptable to all parties concerned. Its success will set the example of an acceptable model to other countries of different ethnic mix, that need to live as equal before the law, protecting the rights of each and every individual of either gender as equal. Success of Bosnia�s territorial integrity will become a model to be emulated by other countries. People of diverse cultures, language and religion, living together, under secular establishment with guaranteed equal rights, leads to mutual respect and peace and harmony. It is hoped that Bosnia's ethnically divided secular government will let go of its fanaticism, and exercise tolerance and understanding to bring enduring peace among its subjects and stability in the region and become a role model to be emulated by other Islamic countries. Otherwise, any misrepresentation or deviation from secular democratic rule will heighten tension and lead to imminent breakdown of the governing system, plunging the country into another relapse. The Assyrians look up to the United States of America, the U.N. and the international community as the strong democratic arm of justice. They look forward to seeing the world body restore Assyria to its legitimate status and include the Assyrian nation in the new world order. The international community is obligated, according to the United Nations charter, to free Assyria from Islamic neo-colonialism. Time and demography of the Assyrian people are irrelevant. The fact remains that though their country has been appropriated, the Assyrians are a nation in their own right. It is time that the world body woke up to itself and realized the seriousness of the plunder Islamic nations have done to the Assyrian indigenous people and other peoples of the Middle East. The results of foreign policies of the international power brokers have caused untold tragedies to people that looked up to them in hope of doing justice. In Post World War I, Britain rejected the Assyrian demand for at least an autonomous national home within their traditional territory. It ignored the Assyrian plea and dismissed it as unacceptable outright. The British confirmed that the rescue operation of the Hakkari and Urmia Assyrians, from the jaws of their surrounding enemies, was no more than a humanitarian gesture. Britain reiterated that its rescue mission had no political bearing and should not be translated as a prelude to further political demands. Yet, Kuwait was declared as a British protectorate following the outbreak of War with the Ottoman Turks in 1914. In mid-1961, Kuwait became an independent Sheikdom. In 1963, it gained full independence as the State of Kuwait and became a signatory member of the United Nations. If Kuwait had oil, so did the Assyrian Province of Mosul. Kuwait had a small population, so did the Assyrians. What was the difference? Kuwait is situated along the seashore of the Arab Gulf. Mosul was up in the mountains, in a rugged place, far from the sea and surrounded by hostile Kurds. Besides, the Kuwaitis are Moslems; the Assyrians are not; they are Christians. Al-Hashim of Saudi Arabia would have been upset if Assyrians had gained independence. The foreign Department of Her Majesty�s Government did not want to disrupt the smooth relations that existed between the British Empire and the Arabs or upset the newly created Bedouin kings. This policy was affirmed by Sir Winston Churchill and the charismatic officer T.E. Lawrence (of Arabia). For over 80 years, since World War I, the Assyrians have been abandoned, and their pleas for constitutional independence of a national home in their region have been ignored. In early 1922 the French and British colonial powers abolished the Assyrian Resettlement Project in their northern region of Mesopotamia. With little concern to their plight, the defunct League of Nations, in collusion with colonial powers, cancelled the rehabilitation program for the Assyrian people. Instead, the League Council stopped its relief work and humanitarian assistance, dismantled its makeshift tent-camps in Baquba and Henaidi in Iraq, and dismissed the Assyrians to an ominous fate. They were scattered and left to fend for themselves without any compensation, protection, shelter or sustenance. They were robbed of their homes and treated mercilessly. During the mandated period, the Iraqi and British intelligence spread rumours that the Assyrians were rich and that although they looked a bit off colour and shabby in their simple clothes, they were loaded with gold and better off (Stafford: p 221). They accused the Assyrians of playing �poor� to avoid suspicion and cover up their wealth. What a debased statement. 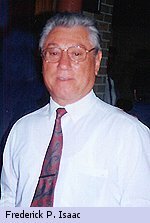 The difference between the Anglo-Iraqi banditry and Kurdish brigandry was that the British parcelled Assyria and sold it to the highest bidder of the four neighbouring Islamic countries, while the Kurds pillaged and destroyed the Assyrian towns and villages, removing all trace of Assyrian existence there. 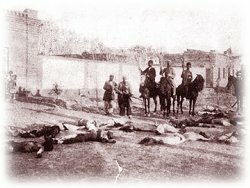 In the summer of 1933, the Arabs capped the campaign by massacring the Assyrians that had held to what little was left of their land in Province of Mosul and were forcibly removed from their homes. The Iraqi central government branded the Assyrians aliens and considered all virgin and unoccupied land as crown land. The Iraqi central government alone decided where the humiliated Assyrian millet should be allowed to live and at the price they recommended. There was no such thing as free distribution of land. Their alien classification did not entitle them to own their original land. They had to pay for it. It was at the choosing of the Iraqi government where the Assyrians were to be settled. The aim of the Iraqi government was to disperse them between the Arab Turkuman and Kurdish majority. The British deceived the Assyrians by playing the game of protection and formation of the Assyrian Levies. Being under the direct control and command of the British, it gave the Assyrians a sense of security and safety, yet without any commitment to their return to their original dwellings for rehabilitation. The British policy was to end its mandate abruptly and grant Iraq full independence, without resolving the outstanding problem of the Assyrian people. In August 1932 Britain recognized Iraq prematurely. Iraq gained full independence and became a sovereign state and active member of the League of Nations. The Assyrian situation worsened and ended up in tragedy. The aim of the mandatory powers was to eventually abandon the Assyrians to fend alone, without the help of the British, and settle as future citizens of Iraq without much involvement in matters of their local affairs. The Arab concern was as serious. They wanted to retain the �millet provision� under which the Assyrians had been ruled by the Turks. The British wanted the idle Kurds drawn in proximity to the area of the planned highway project to recruit labour for the construction of the highway upwards through the formidable mountains of the dismembered Assyria. This stratagem helped win the Kurdish leaders to the Anglo-Iraqi side in order to allow them to recruit casual labour from the idle Kurds for the construction of the highway. Islam was keen to see that the Assyrians would not stand out as a people on their own. Their ultimate aim was to disperse them and keep them apart. They are determined that their existence should come to an end, either by dissimulation, decimation or the sword through (Jihad) holy war. In the ensuing sinister Sykes-Picot plot, the French, took the initiative in 1923 and detached Lebanon from the liberated territories of the Middle East towards its independence for the protection of the Maronite Christian community (Rafic Boustani�s footnote. The Atlas of the Arab World; Geopolitics and Society; *p31) The British inspired by the French, also proclaimed an Assyrian-Chaldean state in line with the French emerging policy for the Maronites in Lebanon. The Arabs, considering Mesopotamia and the whole of the Middle Eastern region as part of the Islamic States of the Abode of Peace, strongly objected to the detachment of Lebanon by the French and creation of an Assyrian state by the British. The Arabs sought the support of their old friend T.E. Lawrence (of Arabia) and his good offices to foil the French/British attempts. T.E. Lawrence, a staunch supporter of the Arabs, vehemently opposed detachment of Lebanon by the French and creation of the Assyrian state by the British. The French proceeded determinedly despite all the obstacles and succeeded with their plan. The British, too, resisted Arab pressure for several years. However, Arab/Islamic pressure on the British to drop their support for an Assyrian state continued to mount. The fate of the Assyrian state became uncertain. After annexation of the Ottoman Mosul Province in 1925 to Iraq, British support for the Assyrians waned. Still not satisfied, Arab nationalist leaders incited Arab tribal uprisings, especially the Shammar and Eneza tribes against the British for giving the Assyrians assurances of security in the Mosul Province of northern Iraq. Under constant Arab pressure, the British, in 1932, buckled and abandoned the Assyrians and let the hope of an Assyrian State slyly disappear. Later, in August 1933 the Iraqi army turned on the Assyrians, attacked and massacred over three thousands of Assyrians at Semaili and other villages in northern Iraq in cold blood. The brutal action of the Iraqi central government was to remind the Assyrian people that the millet provision was still in force; that their political and social status would remain derogated, and unchanged, and that it would continue, as it had been under the Ottoman rule, and earlier when under the Arab rule in past centuries. The Islamic concept in regards to Israel is no different from that of the ill-fated Assyria. �It was indeed imperial rule on the cheap. By September 1922, Sir Winston Churchill, during his short term in the colonial office, had reduced the expenditure in the Middle East, from £45 million to £11� (Rose; 1994; pp 154-155; 165). Lawrence was well known for his deep sympathy for the Arabs. Although a strong and capable guerrilla leader, Lawrence was given a free hand and meddled too much in the politics of foreign affairs during the mandated period. According to the above policies, Sir Winston Churchill did not view the Assyrian Nation as worth saving. The Mandates had earlier promised the League of Nations a just solution to the Assyrian question. Instead, they turned it into a tragedy. The League of Nations stopped monitoring the exodus of Assyrians. The Assyrians lost their representation in the League and international community. The British and French intelligentsia through their Ministry of Foreign Affairs represented the Assyrians and minority groups at the League Council. The Assyrians were classified as a minority and became known separately as Asouri, Ashouri, Athouri, Suraya, Suroyo, Syriani, Nestori, Chaldean, Jacobite and Arabi-Masihi (Arab Christian). The Assyrian people were decimated. They were divided into separate denominational groups and given different sectarian names. They were alienated from one another in a bid to minimize and understate the total count of the Assyrian population, and lessen their political weight when the small figure was presented to the League Council. It has since been known in several political circles as the Assyrian tragedy. Let the United Nations look at the deplorable state of the Assyrians now. Over 60% of its total population has been dispersed or forcibly evicted from their original dwellings and live in diaspora. The United Nations still declines to reclassify them as genuine refugees and restore to them their national identity. Classified as a minority, the Assyrians lost their right of appeal to the League of Nations as a displaced people. They became subjects of the Islamic states of the Abode of Peace. The Assyrians are described as naturalized citizens of existing Islamic states. Their racial recognition as Assyrian in nationality has been officially nullified. World body defines the Assyrian as a naturalized subject of the state in which he happened to be at the time of creating Arab countries.